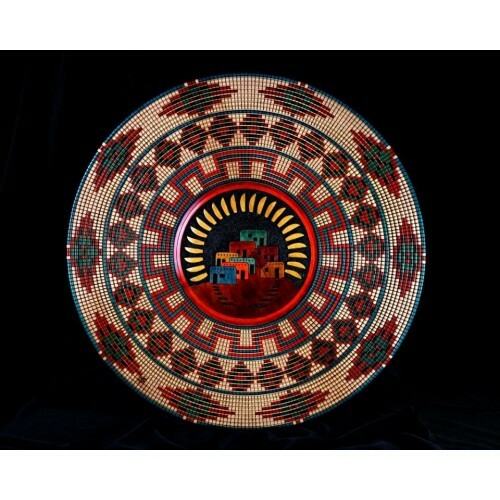 This Queen Charlotte Yellow Cedar wall hanging measures 36 inches in diamter. 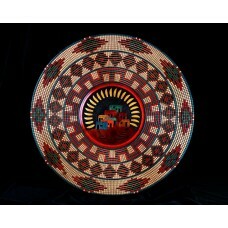 The outer embellishment has been inspired by the Papago and Navajo baskets of the American Southwest. 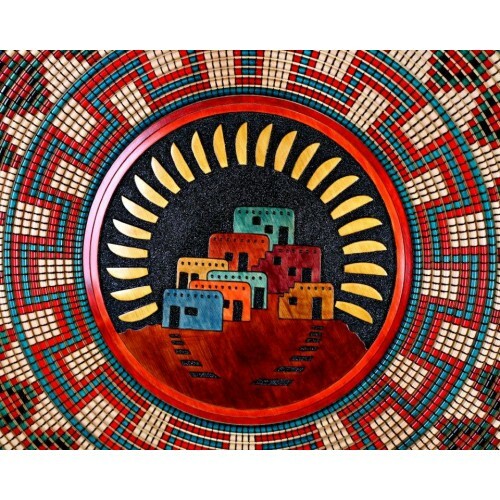 A Hopi village surrounded by a stylized sun has been relief carved in the center.